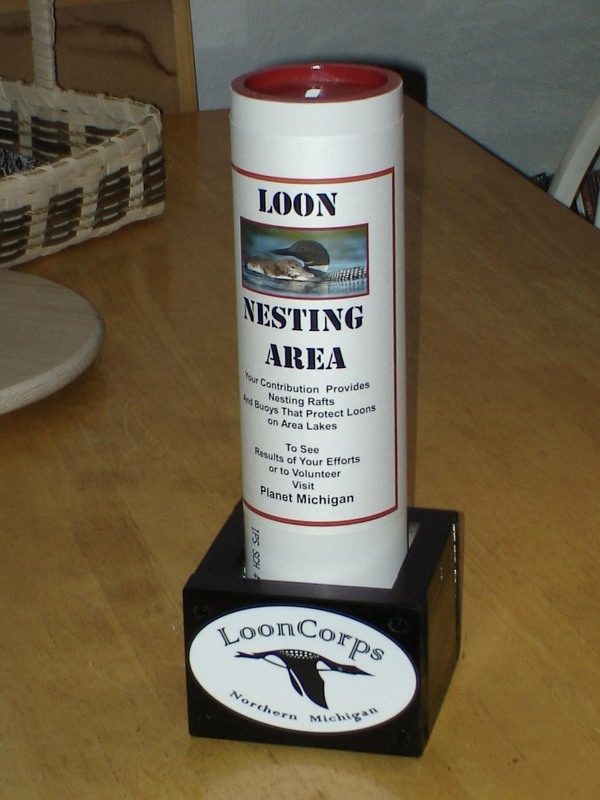 By far, the very easiest way to support LoonCorps is to display a scale model buoy Donation Canister. You don’t have to do anything, you don’t have to even get up. We’ll bring it to your place of business, stop by once in a while to check and empty it, even dust it if you like. All you have to do is say, “Yes, I’ll display one”, and point to where you want us to put it. That simple. I even have some literature so you can explain to your customers or clients what it’s all about, and where their donations go. Rather than solicit directly, this method has several advantages; among them being no cost or major effort for you (that’s where the Passive Support comes in), and showing your concern for this Threatened Species. Your business name gets placed on the LoonCorps website (just to the left of where you’re reading now), and on an online Google Map. Look, there’s one such canister in my store right now. 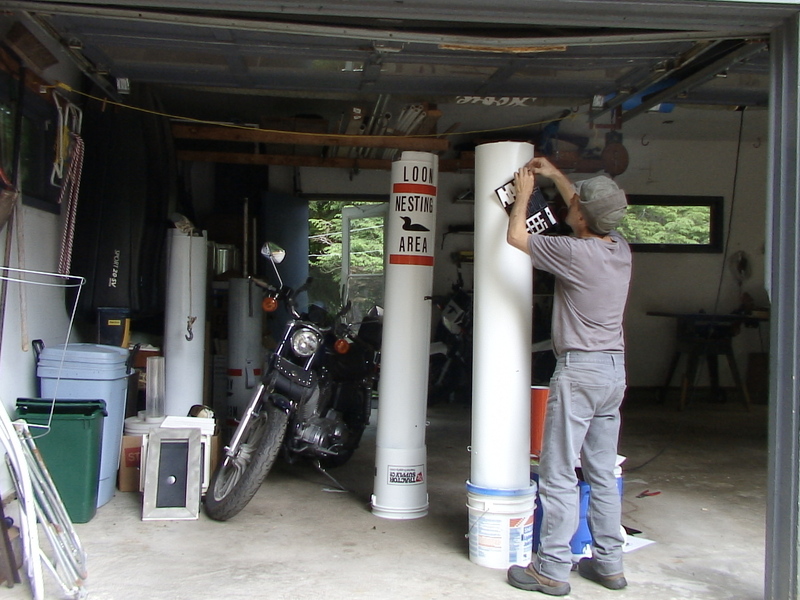 That’s the large one; I make them in two smaller sizes, for space-challenged situations. 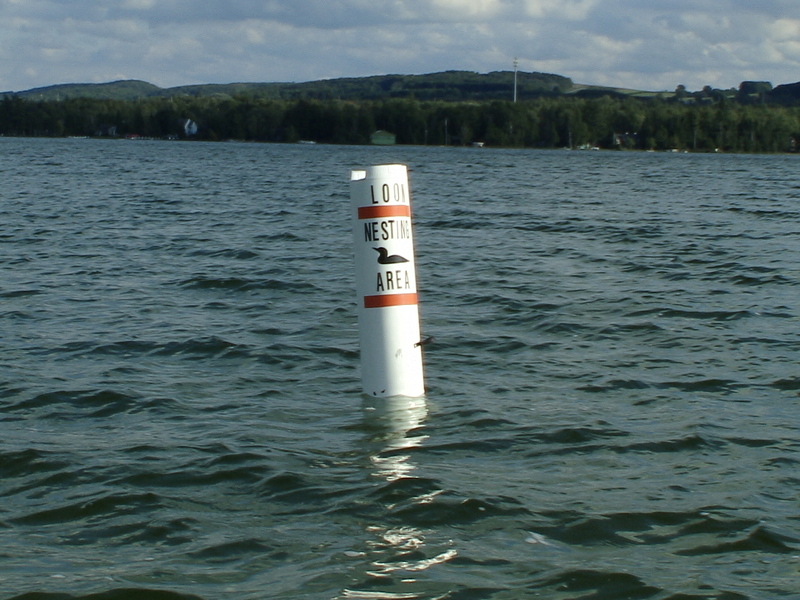 By the way, below are pictures of the actual 5-foot buoy, me building them in my garage, and one on the job protecting a loon nest.